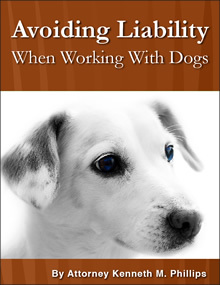 A dog bite victim in Texas can recover compensation under the doctrines of negligence, negligence per se, scienter and intentional tort. 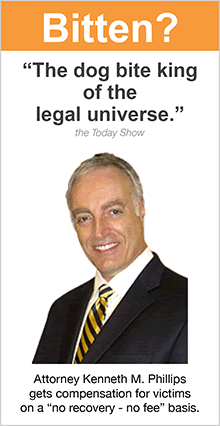 The failure to stop an attack in progress also is actionable in Texas. 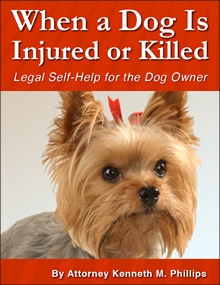 There is no dog bite statute so this is a "one bite state." 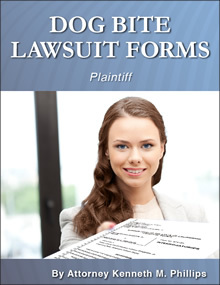 Just about all the documents a plaintiff's attorney will need, for less than the cost of typing them. 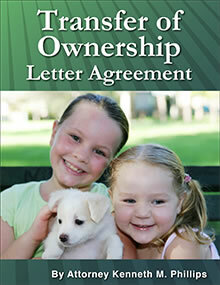 Complaint, interrogatories, document production requests, admissions, witness list, petition for approval of minor's compromise (structured settlement), order approving minor's compromise, and Kenneth Phillips' 50-page deposition outline that covers every issue that can arise in a dog bite case. 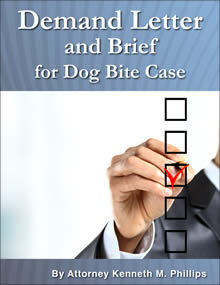 Save hours of work with the Dog Bite Lawsuit Forms for Plaintiffs' Lawyers. Good throughout the USA. 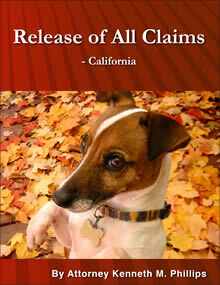 Download and use today. 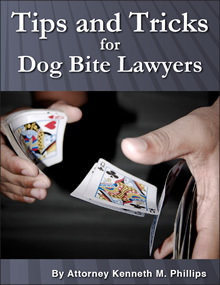 Tips and Tricks for Dog Bite Lawyers is Mr. Phillips' 2-1/2 hour video seminar for plaintiffs' lawyers, containing tips and tricks, practice pointers and winning strategies that cannot be found anywhere else. 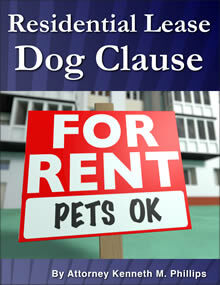 A highly rated legal best-seller. 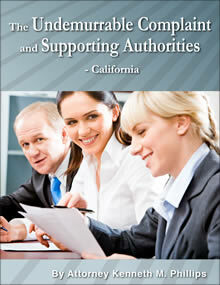 Covers case selection, establishing liability, dealing with defenses, settlement and litigation throughout the USA. Available for immediate download.